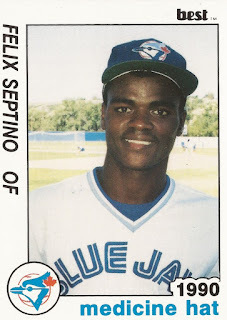 Felix Septimo had long since gained a playing reputation by 2015, according to The Kingston Whig-Standard. "Felix is always playing, whether it's baseball, softball, slo-pitch, men's leagues, mixed leagues," his manager with the amateur Kanata Athletics Angus McDonald told The Whig-Standard. "He'd probably play in an orthodox league if they had one. If you're looking for Felix, chances are he's at a ballpark." Septimo also played in the pros. His stay, however, was brief. He played two seasons, never making AA. 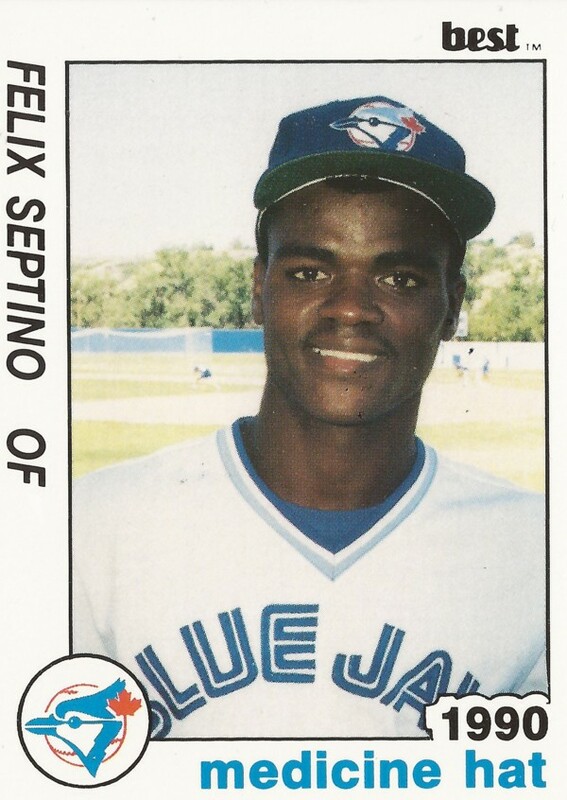 Septimo's pro career began in 1990, signed by the Blue Jays as a free agent out of his native Dominican Republic. Septimo is also sometimes credited as Felix Septino. Septimo started with the Blue Jays at rookie Medicine Hat. He got into 43 games, hitting .219. He also hit two home runs and knocked in 17. He moved to short-season St. Catharines for 1991. He got into just 14 games, hitting .283, ending his brief career. Septimo ultimately stayed in Canada and settled in the Ottawa area and continued playing on the amateur level into 2016. With Kanata, he hit two home runs in a June 2016. Septimo also serves as a youth baseball camp coach with Mike's Baseball Camps.